This important market is actually a combination of two separate, but similar electronics industries. Richardson Electronics serves in a key component distribution role, as well as a provider of Engineered Solutions for both Marine and Avionics Industries. Critical RF & Microwave components are included in applications such as Radar, Navigational Systems, Transponders, DMES – Distance Measuring Equipment/Systems, and Collision Avoidance Systems. 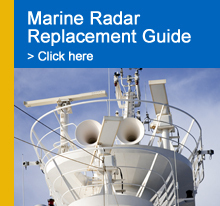 Marine-based electronics include chart-plotters, marine VHF radio, autopilot or self-steering gear, navigation systems, fish-finders, Sonar, Radar, GPS, electronic compass, satellite television, etc. As the distributor for New Japan Radio, Richardson Electronics is able to match, modify or custom-design components to meet specific radar requirements. In addition to serving the replacement market, we work closely with original equipment manufacturers to design in new components to produce state-of-the-art radar systems. 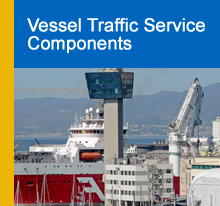 All NJRC marine components are RoHs compliant. Richardson Electronics offers 24-hour emergency service and immediate availability of product from any of our global distribution centers. Our distribution centers in the U.S. and Europe are ISO 9002 registered, emphasizing our commitment to providing the highest standard of quality service to our customers. Richardson Electronics stocks the widest selection of commercial replacement weather radar magnetrons in the world. These magnetrons can be used in airborne, weather, ground or military radar applications. They are available in X, S, C and Ku band. All L-3 Communications(formerly Litton) airborne weather magnetrons are TSOA approved. We also supply a line of NJRC high power magnetrons used in ground weather radar and airport surveillance radar. Along with our wide arrangement of magnetrons, we supply planar triodes, limiters, test equipment and other related components for DMES, transponders, VHF and UHF communications.